(Gallatin County, Mont.) The fire reported in the Clarkston area North of Three Forks has been declared under control. 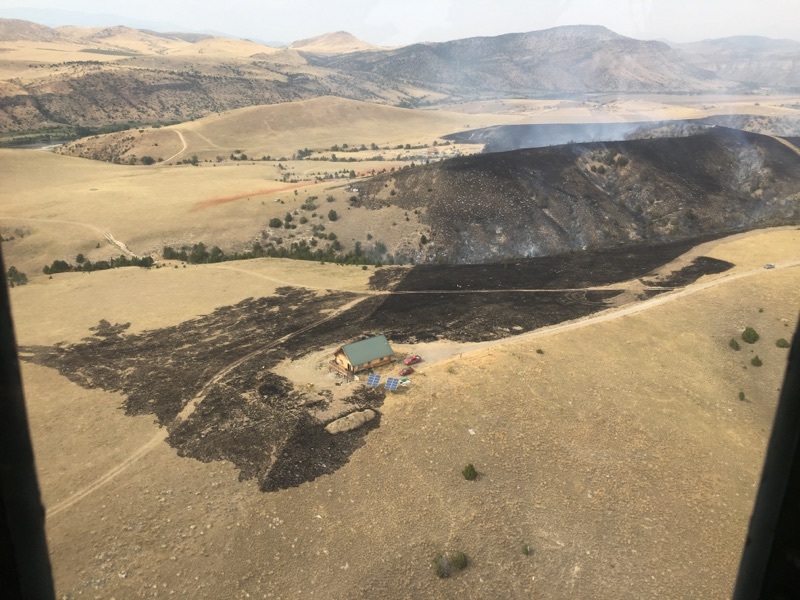 The human caused fire was reported about 1:30 P.M.. Fire Departments from around Gallatin and Broadwater County as well as the Montana Dept of Natural Resources, US Forest Service and local residents worked to bring this fast moving, approximately 250 acre, blaze under control. Gallatin County Sheriff’s Deputies did issue evacuation warnings to effected residents and the mass notification system was utilized for text, voice and email alerts. For information on how to register for these alerts go to www.readygallatin.com. Helicopters as well as a few fire crews will remain in the area this evening and tonight and there will be fire patrols and work tomorrow. Residents have been allowed to return to their homes but are being held out of the areas where helicopters are actively dropping water. Citations were issued to two juvenile suspects for starting the fire.